Because of the fasting month, there were very few runs organised in the month of July, because organisers knew there would not be enough signups. Even after Hari Raya Puasa which was on 15 July, there were very few runs because many people would be busy celebrating and enjoying the festivities. 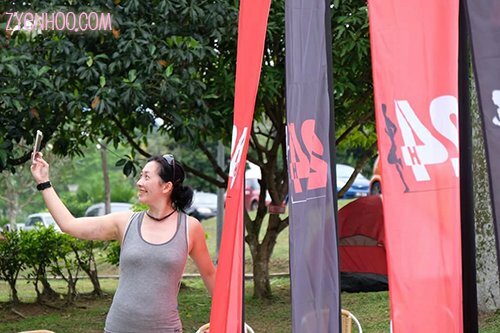 I didn’t have any runs to join in July besides the Pacemaker Anniversary Run, so I signed up for the Setia Ecohill Rescue Run because it was the only run I was willing to go for, since my friends had signed up for it. Because I had signed up a bit late, even though it was before the deadline, I couldn’t spring for the race pack delivery option, and had to do self-collection… at Semenyih!!! Initially my friends said that they could pick it up for me, until they realised they had opted for delivery, so I was pretty much on my own for the race pack collection. Semenyih was a good 1.5 hours away from my home, and I was not willing to go all the way there to just to pick up my race pack, and I was willing to skip the race because I didn’t feel it was worth it to go there twice on separate days – the organisers had refused to mail it to me when I wrote to them even if I was willing to pay more for it; and they insisted that race pack collection was not allowed on the day itself. Fortunately, Hurman’s sister was able to pick it up for me, as Semenyih was not too far from their home. Organised by St John with Setia Ecohill, the race was called Setia Ecohill Rescue Run, with the 5km called a Fun Run and the 10km a Mission Run. I did not realise that both categories of 5km and 10km would be untimed. I had no idea what the Mission Run was until I received my race pack. The leaflet which came in the race pack stated that those of us running the Mission Run had to complete a mission within the route. I was worried that it was going to be another “fun run” a la Rimbayu… truth be told, I did not enjoy that run! A 10km run is NOT a fun run! My leaflet said that the runs would be flagged off at about 7am. The rest of my run gang were arranging to meet at 5am, and I wondered why they wanted to meet so early… until Farah explained that their race pack did not come with any leaflet that provided the information needed. I made my way to the cowboy town of Semenyih. I was using Waze, but once I reached Semenyih, all I had to do was follow the line of cars – at that hour, the only place where that many people were heading to would definitely be the run! There were marshalls guiding us to the car park, which was at a large grassy field at the entrance to Setia Ecohill. By the time I got there, a lot of people had also just arrived, and there was a very long queue getting into the bus that was supposed to transport us to the actual venue. I was aghast when I saw the line… I didn’t know what time I would finally arrive at the venue! Provided no one cut the queue, I would only get into the third bus after the current one. I overhead some of the other participants asking the marshalls how far away the venue was from the carpark, and apparently it was only about 10 minutes’ walk, so I followed the large crowd that made their way on foot to the starting point. Selfie at the Start Line! I met up with the others at the front of the information centre – Farah, Fitri, Adiah, and Soon. We were all joining the 10km Mission Run, and we each had to collect a red pouch from a stall. The 5km runners in the holding area behind us. Each runner is given a balloon and they have to complete the run with the balloon still intact. A we-fie at the Start! I was not in the mood at all to run because there was no timing chip, plus the “mission” part of the Mission Run was not an appealing thought. So Farah and I decided to just walk all the way to the finish line. The rest wanted to try to improve their personal best timing, so they all ran. Farah and I had a lovely jog/walk and spent most of the time catching up – we hadn’t really seen each other in a while, and it was lovely to be able to chat with her! Some of the characters we saw along the way! As for the mission… it was just a matter of collecting a few first aid items from the St John’s volunteers at different checkpoints. No games to play nor anything that required us to get dirty – thank goodness! Plus, we now have free items which we can put into our own first aid kit! The items we collected for the Mission, and the red pouch we were supposed to put the items in. Farah and I completed the 10km run at our worst time ever – but then, this doesn’t really count since we weren’t even trying. The rest were patiently waiting at the information centre for us, so that we could take photos. Like other runs organised by SP Setia, this was obviously organised to promote their housing area. Our goodie bags had the leaflets of the houses and the Tenby International Schools stuffed in them. Overall, I didn’t find the run that enjoyable – the only thing I liked about it was the “free” first aid items. Oh, and of course the company – the run gang is a really happy, funny bunch! Oh… and it took me about 2 hours trying to get OUT of Semenyih. Not including the drive home… just to get OUT! Not sure why the cowboy town was so jammed. I don’t think I will ever want to go there again!